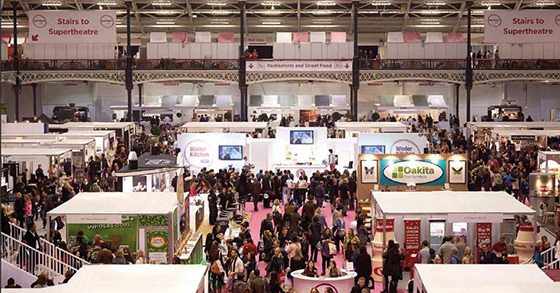 The BBC Good Food Show London brings together an affluent, urban audience with quality food and drink producers, premium brands and exclusive celebrity chefs. The International Wine & Spirit Competition will be presenting its award winning wines at London’s biggest food and wine consumer event, the BBC Good Food Show. The World of Wines Experience will allow consumers to sample an array of wines, including the 2014 trophy winners which will be announced at the Annual Awards Banquet on 12th November. A series of educational Masterclasses will be led by; The Telegraph’s Susy Atkins, Saturday Kitchen’s Jane Parkinson, Winemaker Neil McGuigan and the IWSC’s general manager Ewan Lacey. Exhibitors will have the opportunity to present products to actively engaged consumers (90% ABC1, approx. 4,000 over the 3 days), build brand awareness and take orders on the day. The IWSC will also be hosting a media event on the Friday, showcasing winning brands to influential figures from the UK trade and consumer media.